Tony Ferguson defeated Kevin Lee via triangle choke at UFC 216 back in October and scored an interim UFC Lightweight Championship. Shortly afterward, he calls out lightweight champ Conor Mcgregor for title unification bout. Since then there is no news yet who he will fight next. 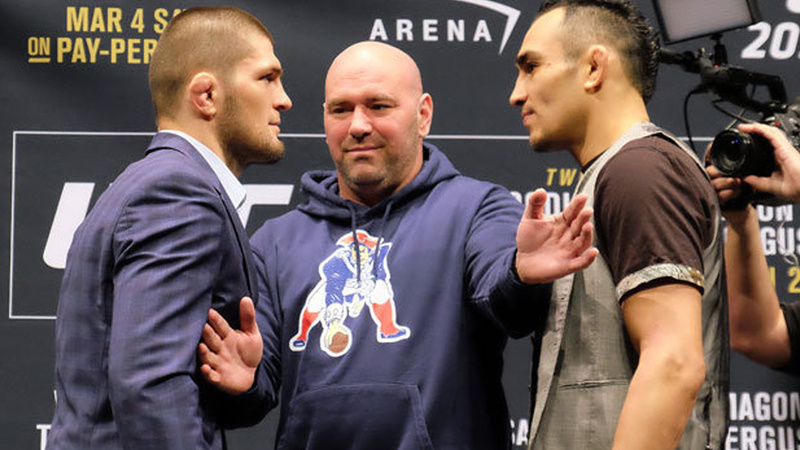 The undefeated Russian Khabib Nurmagomedov who claimed earlier this week that UFC offered him a fight with interim lightweight champ Tony Ferguson at UFC 219. But Ferguson hasn’t responded yet. Nurmagomedov is currently scheduled to face Edson Barboza at UFC 219.